For dependable auto service near Moose Jaw at an affordable price, choose Crestview Chrysler in Regina, SK. If you want your vehicle operating at peak performance for many years to come, bringing your car in for a tune up is a must. Getting an oil change at our dealership is just one of the many ways that you can ensure that your vehicle stays healthy. Schedule your next appointment for an oil change today! Make a slight left onto Manitoba St Expy. Merge onto HWY-1 E/Trans Canada Hwy E.
Take the Lewvan Drive exit and then turn left onto Lewvan Dr. Turn left onto Albert St/HWY-6 N and find us at 601 Albert Street on the right. Depending on the make and model of your vehicle, the length of time between oil changes can fluctuate. Consult your vehicle’s owner’s manual for this information. Typically, you should bring in your vehicle for an oil change every three months or 3,000 miles. Motor oil may not seem like a significant part of an automobile, but it actually does play quite an essential role. Motor oil protects the engine by lubricating moving parts and transferring heat away from critical engine parts. It also helps keep internal components free of dirt and debris. When motor oil is contaminated with that dirt and debris, it is not able to perform those important tasks properly. This can lead to friction and engine wear, which decreases your car’s lifespan. 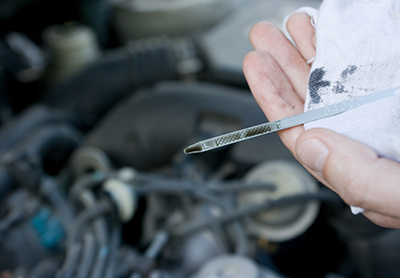 To prevent unneeded engine stress, take your vehicle to Crestview Chrysler for an oil change. Our highly skilled technicians will get your automobile running like new in no time. If your vehicle is getting closer or has surpassed that 3-month or 3,000-mile mark, it is time to bring it to Crestview Chrysler for an oil change. It is quick and easy for Moose Jaw drivers to schedule an appointment online, so pick a date and time that works for you and stop on by. We look forward to seeing you soon!